One sculpture at a time…. 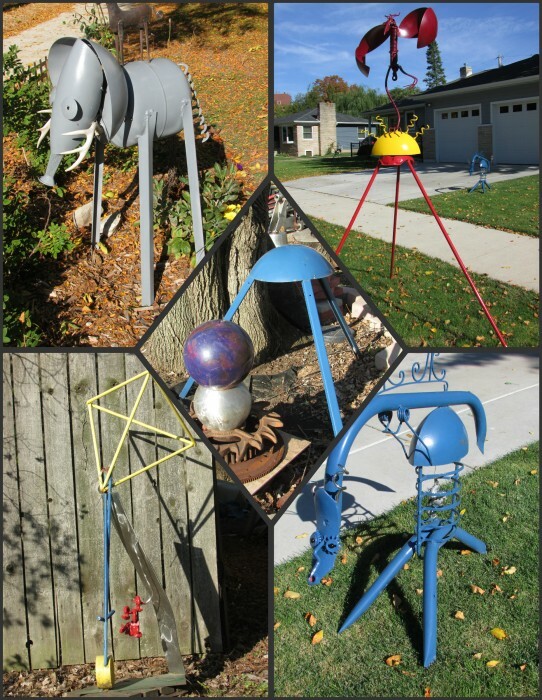 Madison is a hotbed for artists, and one of them is decorating the Wingra Creek area with beautiful metal sculptures. 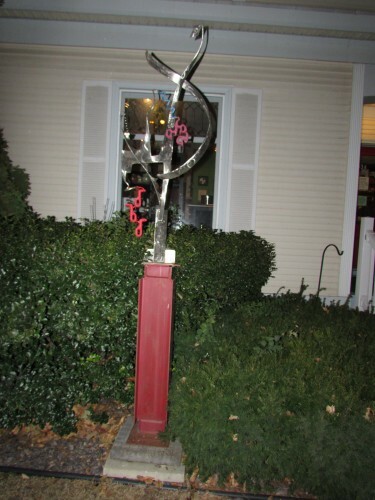 Art knows how to turn the oddest bits of metal into ornaments people are proud to display in their yards. Here is some of his work.. He is always looking for more pieces of metal to turn into art. The Macha Tea House on Monroe Street even has a piece of his art work on their lawn. This was fun finding the sculptures. You never know where you will find art in Madison. Even under the Monona Terrace!